Forcing bulbs is beyond easy! Learn how to force bulbs like Paper Whites and Amaryllis indoors for beautiful blooms throughout winter and spring! After a long winter nap, having a little green in the house is a breath of fresh air! Forcing bulbs indoors, provides beautiful greenery for weeks. 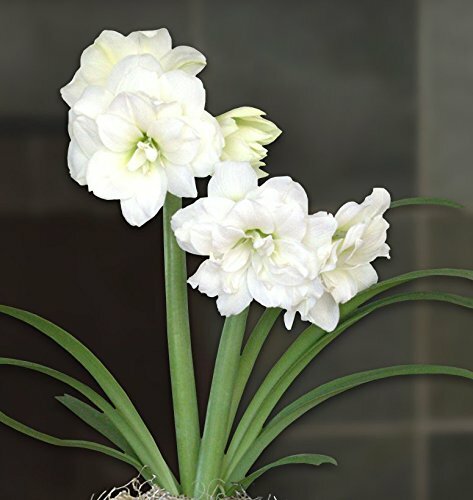 A combination of Paper Whites (Narcissus) and Amaryllis offers a wonderful show of color and intoxicating scent to make your home feel fresh for spring! If you’ve never forced bulbs indoors before, you might be surprised just how east it is to grow bulbs indoors! Forcing bulbs requires pre-chilled bulbs. Amaryllis and Paper Whites (Narcissus) do not need to be pre-chilled and are the easiest bulbs to force indoors. This is why you see them commonly sold throughout the winter months. 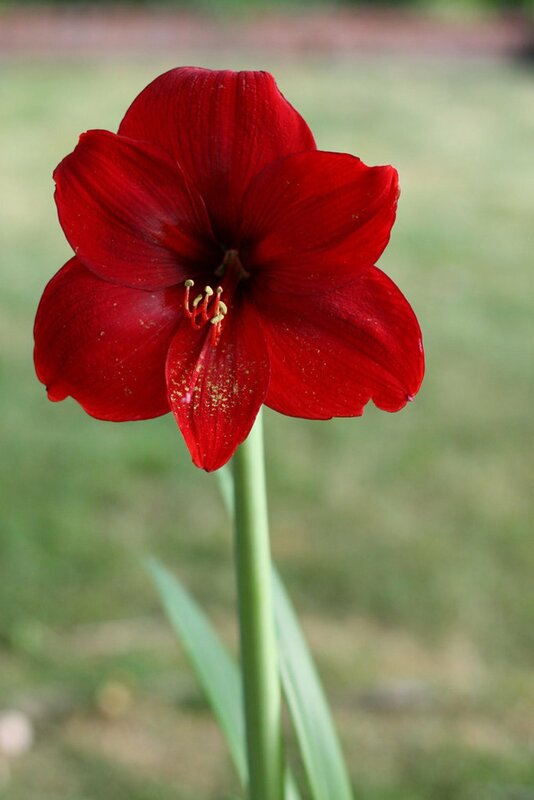 Amaryllis bulbs produce beautiful flowering blooms with vibrant colors. During Christmastime it is quite common to see red Amaryllis in stores. These bulbs are one of the easiest to grow and simply need a little water in order to begin blooming. Note: you may have luck with re-blooming Amaryllis, by continuing to water it even after the blooms have finished. Allow the plant to reproduce leaves throughout the summer. Then in the fall, begin watering less and less until the bulb goes dormant. Store for at least 8 weeks in a cool, dry place inside of a paper bag. Keep the temperature 35-45 F. After the 8 week dormancy, repeat the steps below to see if your bulb will flower again. Forcing bulbs puts quite a bit of stress on the plant, so re-bloom may be difficult. Paper Whites are the delicate cousin of Daffodils and produce beautiful white blooms on long green stalks. Paper Whites are beautiful and dainty, but the real attraction is their intoxicating scent. Quite like Jasmine, Paper Whites produce a lovely smell that is unforgettable. I love growing Paper Whites indoors not only for the pop of green, but also because it makes the house smell wonderful! Tip for forcing Paper Whites: Add a splash of Vodka to the water used for Paper Whites (about a 1:7 alcohol to water ratio). This will prevent the Paper Whites from growing tall and falling over. You’ll need to purchase either pre-chilled bulbs, or bulbs that do not require chilling. There are two types of bulbs that do not require chilling: Narcissus (paper whites) and Amaryllis. For this post, we will focus on bulbs that do not require chilling. For more information about bulbs that require chilling (hyacinth, tulips, and daffodils) click here. In order to grow the bulbs, you will need a vessel or container of some sort. You can purchase a bulb vase or use any type of container you’d like! 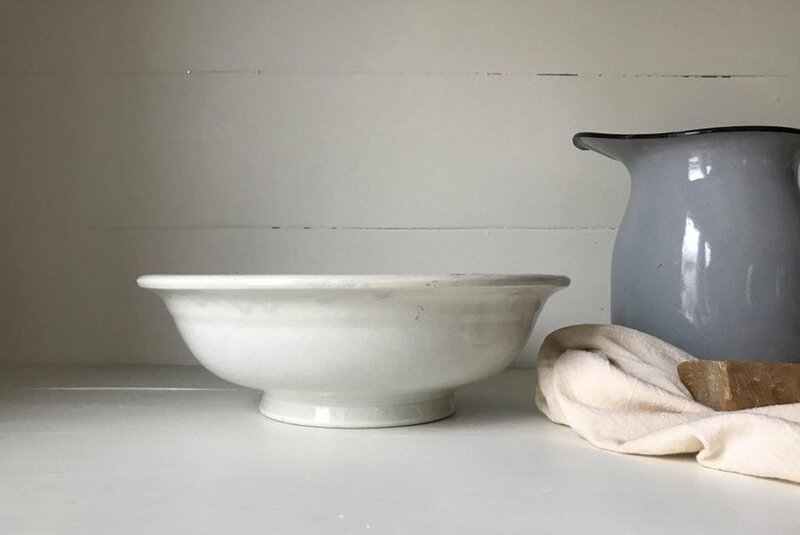 Things like baskets, bowls, jars, and vases work wonderfully! If you purchase a bulb vase, you won’t need to anchor the bulb because the vase will secure it for you. However, if you use any other type of container you’ll need to secure the bulb(s) into place with potting soil or pebbles. Pebbles are a great option because they promote drainage. If you’d like, you can top the bulb with creative additions like moss or faux eggs for a festive spring look! To plant: Fill you container with a 2-3” foundation of soil or pebbles, then nestle the bulb(s) into place leaving the top exposed. Top with water as needed. The bulb will need to be well watered, but make sure not to drown the bulb. The water line should just kiss the base of the bulb - the roots will reach down and drink, and the base of the bulb will not rot. If you cover the bulb with water for an extended period of time, the bulb will rot or become stunted and will not grow. In order to force bulbs indoors, they will need to undergo a period of dormancy/chilling. Most bulbs are planted in the fall, and during the winter are chilled. Throughout the cold months, the flower develop inside the bulb, and come spring, bloom! When forcing bulbs, you’ll need to purchase bulbs like Amaryllis or Paper Whites or purchase pre-chilled bulbs. Below are some pre-chilled bulb options that are ready to grow!